Remember That Band Billie Joe Armstrong Worked With? They’ve Now Got A Music Video. Matt Grocott & The Shrives should be your new favourite frentic punk band. You might remember that at the end of last year, news reached us that Green Day man Billie Joe Armstrong had been working with an unkown UK band called Matt Grocott & The Shrives. Well this morning, they released their debut video for 'When Did You Get Home'. Give it a spin below. The track is taken from Matt Grocott & The Shrives 'Turn Me On' EP which is available now. 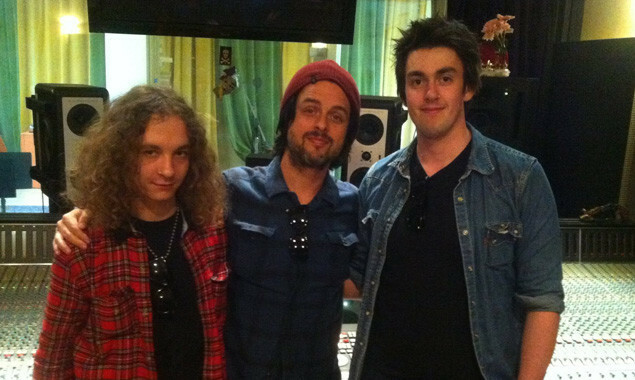 And that man Billie Joe plays bass on the tracks, while his son Joey plays drums. Decent.